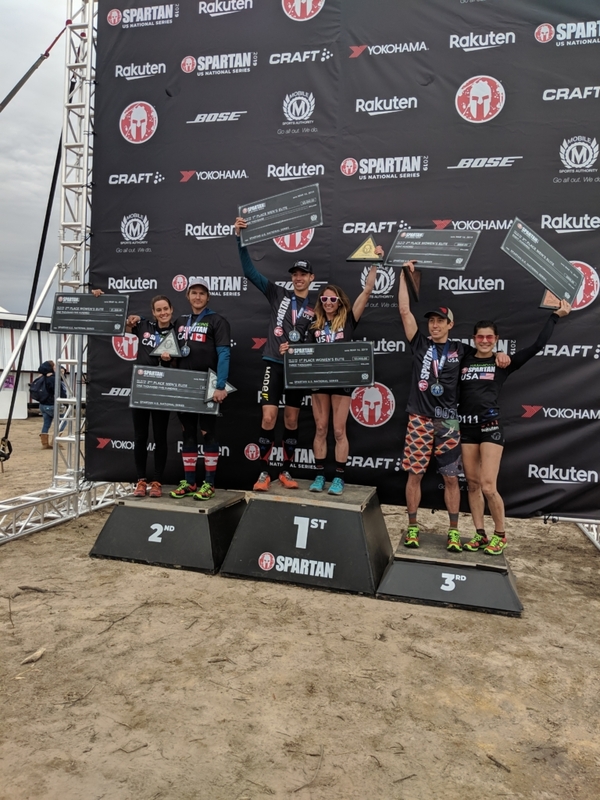 The Spartan US National Series traveled to Alabama this past weekend. The weather was surprisingly cool for the south, but it didn’t slow down any of the elite racers. The Super course was a fast, 8.4 miles that were mostly flat, but full of roots and knocked down trees to trip on and a bit of swamp to traverse to make it officially an Alabama course. For the men, Robert Killian took the lead early, however, Ryan Kempson, the winner of the first race in the series two weeks ago, had joined Killian. By the monkey bars, it was just Kempson and Veejay Jones were sharing the lead. By the time the racers got to the spear throw, Ryan Kempson and Ryan Atkins were battling it out for first. Most of the elite men hit the spear with a noteworthy miss by Ryan Woods. Unfortunately, this wouldn’t be his comeback race. At some point off camera, Veejay Jones took the lead. From that point on, it was Kempson and Atkins battling out for second. Kempson had the lead initially in that fight, but Atkins cut into that lead at every obstacle. At the beater obstacle and in the final mile, Atkins was quicker and took second place. Atkins grew that lead on the sandbag carry and the positions didn’t change after that. Jones took the win and didn’t look back. He's been winning races left and right this season, but this was his first US Series Championship win. For the women, Nicole Mericle does what she does best. She took the lead not too far from the starting line and pushed the pace. Shortly into the race, Lindsay Webster was right on her tail. Mericle moved fast down the course, but this didn’t look like it was going to be a blowout. 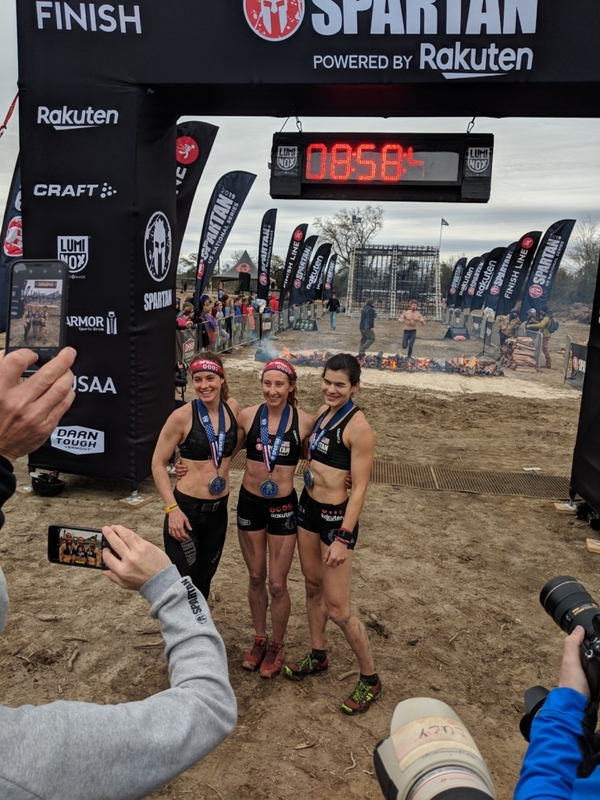 At the spear throw, the top three – Mericle, Lindsay and Rebecca Hammond all hit the target, cementing themselves as the lead group. It was now Mericle’s race to lose. She cut through the men’s field and didn’t fail any obstacles. She didn’t look tired at any point on the course or even when she crossed the finish line. Webster and Hammond were also quick on the course but didn’t come close to catching Mericle. It should be interesting to see what happens when the terrain is different at the upcoming US series races. That could play into Webster’s strengths and with Hammond getting better on obstacles with every race, it could make for an interesting final three races. The “livestream” was replayed the following day. Livestream in quotes because of an alleged lack of internet Spartan couldn’t stream the race live. Alleged, because there was no one on site who had internet issues in a random poll of racers. However, to be fair we were all using our phones and not trying to stream HD videos. The livestream was posted on the usual places Youtube and Facebook, as well as Bleacher Report. Yes, that Bleacher Report, the one known for their coverage of mass media sports like the NBA, MLB and NHL. A nice win for Spartan. The quality of the livestream keeps getting better and better with every season. It’s now easy to tell who is who. No longer does the viewer have to guess who they’re looking at by what they’re wearing, their stride or whether or not they’re bald. However, the experience is frustrating at times. There’s a lot of jumping back and forth between the men’s and the women’s races. An announcer will start talking about one racer and the camera will switch to another. Or there’s a close moment with two racers battling it out and then they switch the view to another camera with a different racer alone on a wide-open stretch. Since it wasn't live, it would’ve been awesome to see the men’s race and the women’s race separately. Mike Crimmins enjoys craft beer and New Orleans restaurants, which is why he discovered Obstacle Course racing when he was looking to get back into shape in 2013. Since then he's cut back on the craft beer and raced in just about every OCR in the gulf south. He works out out with his active four year old and looks forward to racing with him in the near future. He is also a retired coffee blogger and active digital marketing pro on week days.